Kimberly Saldana was born in the valley – Pacoima city to be exact. She currently attends CSU Northridge, and is in her 3rd year towards her Bachelors in Psychology. She is the first in her family to attend college, and after completing her undergraduate studies, she hopes to further pursue a Masters in psychology. She would love to work with children of all ages specifically on the autism spectrum. 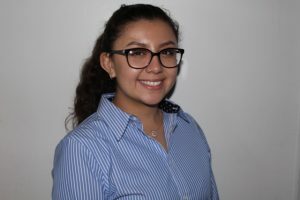 Miss Saldana recently joined the Anger Management 818 team in September 2017 as an office assistant. She looks forward to delving into the mental health field, as well as learning and developing skills necessary to help her become the therapist she has always wanted to be. She will be going through the Anger Management Certification training soon.